Hey all I’m sharing my tutorial for these fun Butterfly Wands over at Southern Lovely today. I hope you’ll hop on over and check it out. If you’re visiting from Southern Lovely welcome! I hope you’ll hang out a while and take a peek around. Here are a few spots to check out if you need a place to start. If you’re a fan of The Hunger Games I just finished up a 3 week long blog party with tons of HG related posts, giveaways and tutorials. Some of the giveaways are still open. You can find the posts that were a part of the party here. I went on a huge cheesecake making kick and if you’re looking for something special to make for Easter you might want to check out my Cheesecake factory knock off of their White Chocolate Blueberry Cheesecake. I’ve had a lot of fun decorating my house (or starting to at least) and I’m especially proud of these Big Bow Pillow Cases I made. Finally I’d love to see what you’ve been up to I hope you’ll link a few of your posts to my current What We Wore and Made Link party. 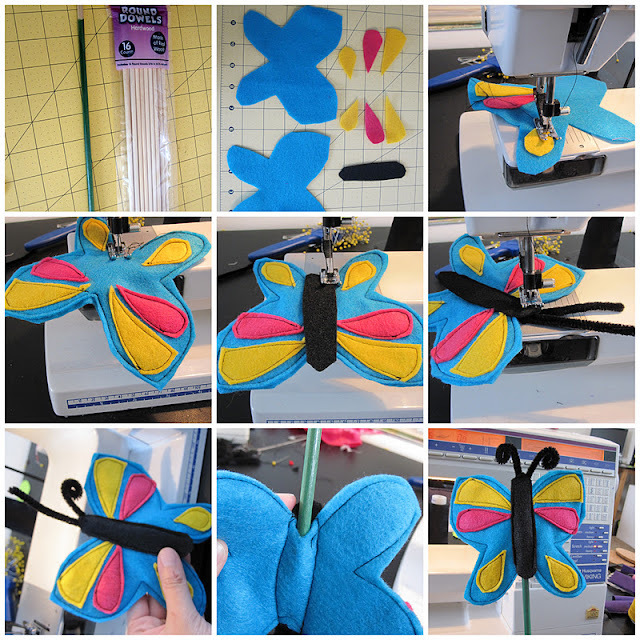 Today I want to share a tutorial on how to make awesome Felt Butterfly Wands. We made these for my niece’s butterfly themed birthday party and all the kiddos loved them. Spray paint the dowls green. Make yourself a butterfly wing and body pattern. I just free handed it. Cut out your felt pieces (you’ll need 2 wing bases, wing details 2 sets (one for each wing) and 1 body for each butterfly). Sew the wing details onto one wing base. Sew the wing base front (the one with the detailing) to the wing base back leaving an opening at the bottom to put the stick in. Sew on the wing body leaving an opening at the bottom for the stick. Curl the antennae with your fingers. Slide in stick (once paint has dried). Add ribbon and glue in place with hot glue gun. Hand to the kiddos and enjoy. Thanks so much Lindsay for having me! And if any of you try out the tutorial or have any questions I’d love you to let me know. I hope you’ll stop by and say hi. These are super cute! Plus, I’m really sad all of your Hunger Games hype has now died down because I’m just now super excited about it. Oh well :) Thanks for linking up!! Those butterflies are really cute, and I love the bright colors! Thank you so much for joining me at Your Cozy Home Party! Wow! 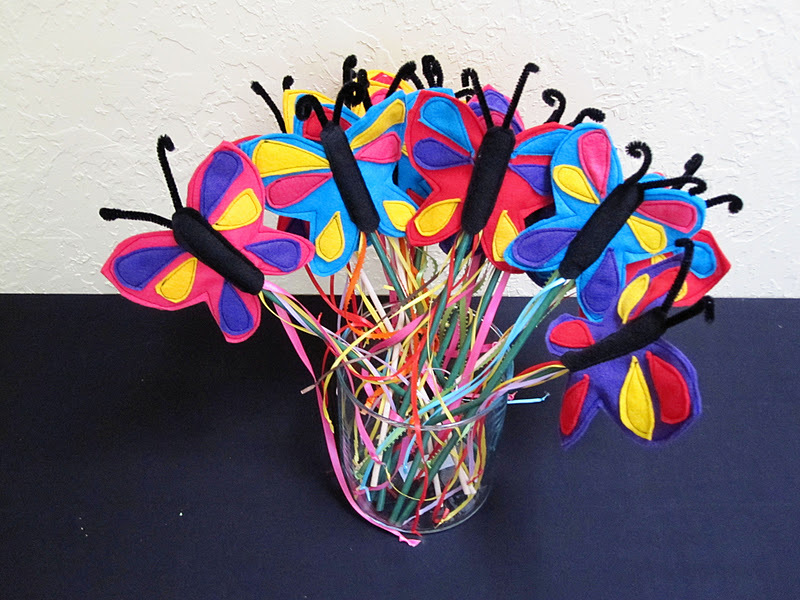 These would be perfect for a butterfly theme party! Would you come over to Cast Party Wednesday and share your party ideas with us? Gorgeous! I love the colors and the tutorial was great! I host a weekly link party and I’d love for you to stop over and link up your latest projects at http://www.thenymelrosefamily.blogspot.com/2012/04/whimsy-wednesdays-5.html. 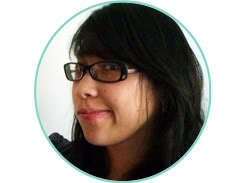 I’m following via gfc and bloglovin. Love these wands! My three-year-old would go crazy for one of these. Time to start crafting! Thanks for linking up. Thanks for linking up to Romance on a Dime! Those are really really cute. You are so creative!! Thanks for sharing at the Sunday Round Up. Very beautiful!! Thank you for sharing at Sharing Saturday!! Just wanted to let you know this post is featured at http://craftymomsshare.blogspot.com/2012/04/sharing-saturday-16.html as the most clicked post from last week’s Sharing Saturday! I hope you will stop by and grab a Featured button. Have a great weekend! !